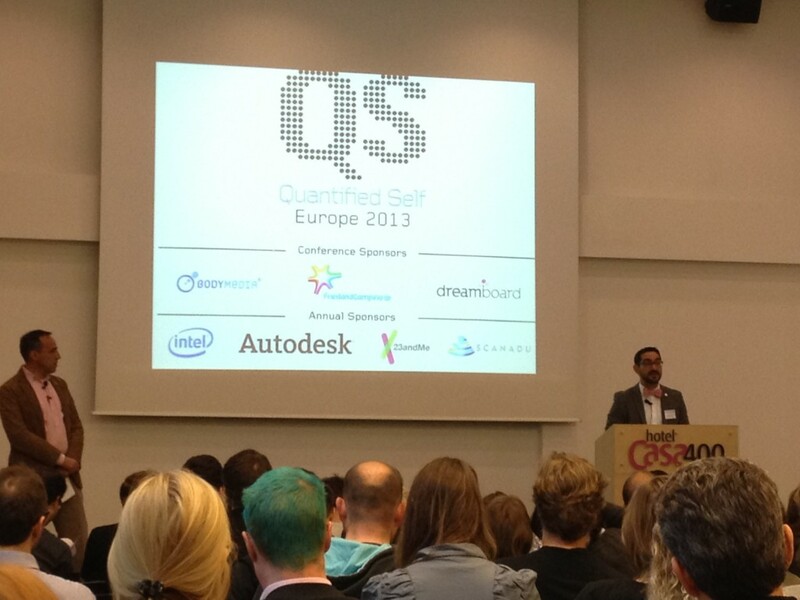 As part of my participation in the fourth Quantified Self Conference I chaired a breakout session on QS Research where I motivated the discussion by presenting some of our ongoing research, including the Smartphone Brain Scanner and the Sensible DTU project. There is a growing interest and increasing number of researchers and scholars participate in the QS conferences, which was apparent from our breakout room being completely full. This entry was posted in blog and tagged conference, quantified self, research by Jakob Eg Larsen. Bookmark the permalink.